There are different types of passports, with different application fees for each type. Did you know you can now apply for your passport online? Visit the Department of Home Affairs website for more information about the requirements for online applications or continue reading to find out more about the different types of South African passports. Visitor's passports are issued to South African citizens 16 years and older. 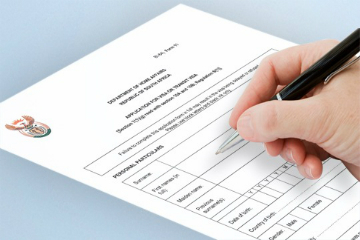 To apply, you'll need to complete a DHA-73 form at a Home Affairs domestic office or, if you're overseas, at a South African embassy or mission. Have proof of your identity. If you don't have an ID, here's how to apply for one. Supply 2 passport photographs. Confirm with your nearest Home Affairs office if they're using the new biometric system. If so, then you don't need to bring your own photographs. Pay the R400 application fee. It will take about 7-21 working days to process the application and issue the passport. The tourist passport is valid for 10 years. Note: Passports must be valid for at least 30 days after the intended date of departure. Passports should also have at least 2 blank pages for entry stamps. Please contact your Home Affairs office before visting, to confirm if they're using the new biometric application system, or if you need to bring your own photos. This passport is issued to South African children 16 years old and younger. Pay the fee of R400. Both parents and the child must be present when applying. If you're divorced, unmarried or 1 or both parents are deceased, this is what you'll need to do. It will take between 7 - 21 working days to process the application and issue the passport. The child's passport is valid for 10 years. This passport is issued to South African officials who are travelling on official government business. This passport is valid for 10 years. 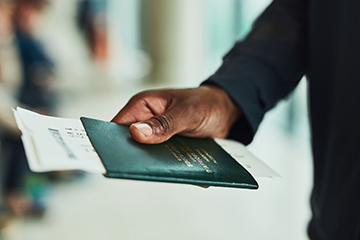 This document can be issued to South African citizens who need to travel urgently and there is insufficient time to process a passport application. 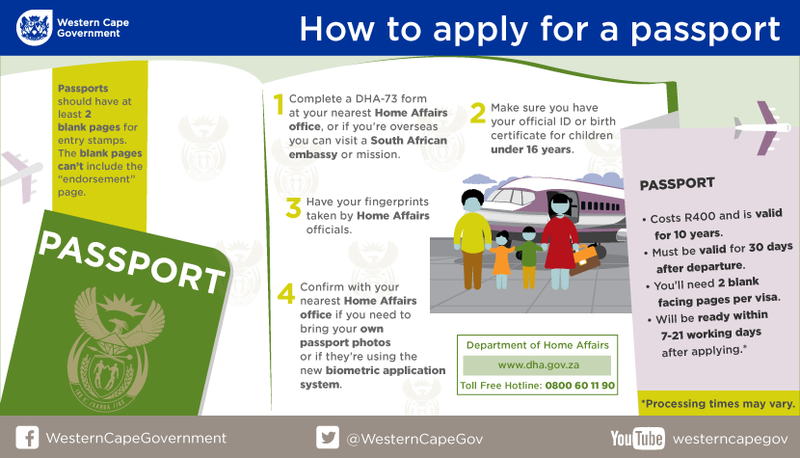 To apply, you'll need to complete a DHA-73 form at Home Affairs domestic office or, if you're overseas, at a South African embassy or mission. Pay the fee of R140. It will take about one week to process the application and issue the certificate. This certificate is valid for 9 months and can only be used for a single journey. This document is issued to people with permanent residence in South Africa who can't get travel documents from their own countries, for example refugees and stateless persons lawfully residing in South Africa. It will take between 7-21 working days to process the application. You can track and trace the progress of your application on the Department of Home Affairs website, or by sending a sms with the letter P followed by you ID number to 32551. This document is valid for 5 years. For more information, visit the Department of Home Affairs website or contact your nearest Home Affairs Office. Please contact your nearest Home Affairs Office for the latest fees required.